Chilean poet Pablo Neruda composes a joyful (and tearful) poem about an onion. A boy, son of migrant workers, who grows up be a Poet Laureate of the United States, Juan Felipe Herrera. 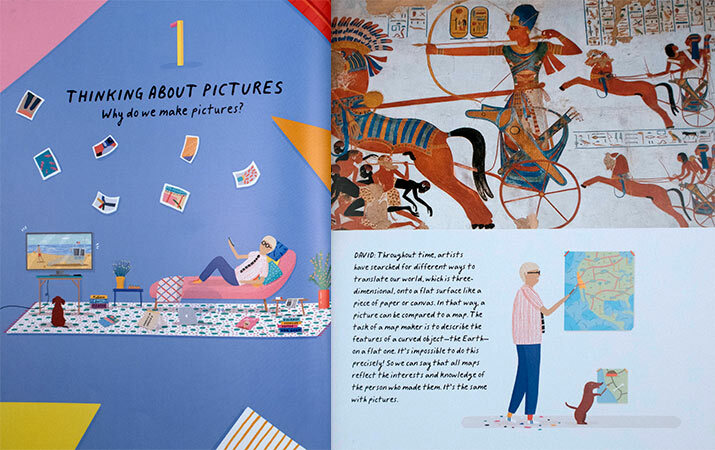 Take a trip with the artist David Hockney, looking at art from all over the globe, from from cave art to digital animation. Playful and eye-opening, inspires us for our next visit to any museum, and how we think about pictures! A boy visits the Museum of Modern Art for the first time. 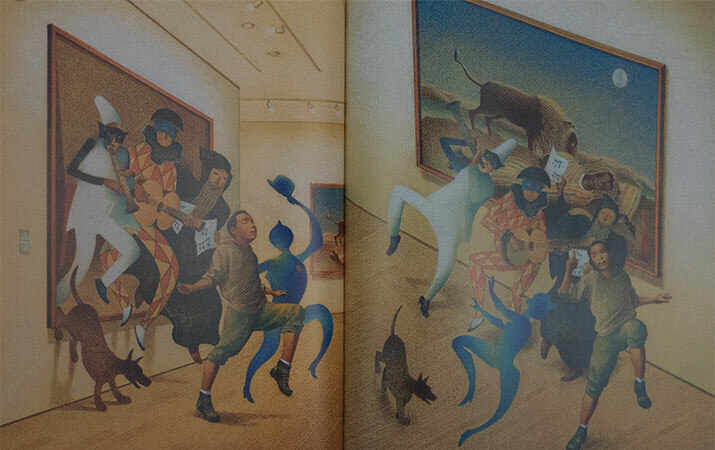 As he walks by Picasso’s Three Musicians, and Rousseau’s The Sleeping Gypsy, the musicians, lion and gypsy step out of the paintings. 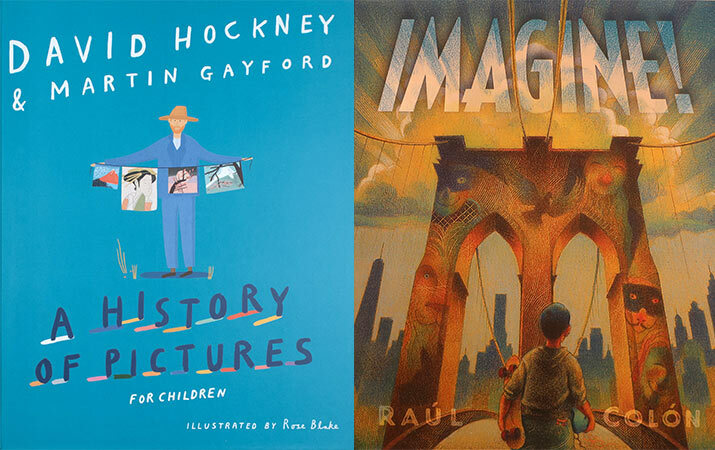 They play and dance their way out onto the streets of New York, climb the Statue of Liberty, sing in Central Park, until the museum closes … but the boy dreams and imagines. 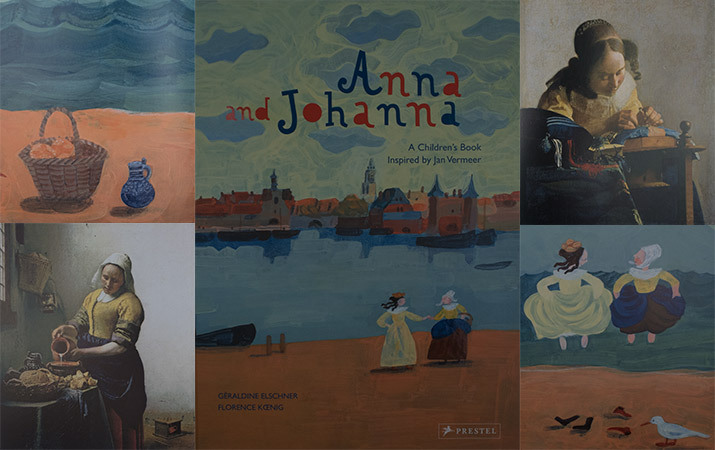 Anna and Johanna by Geraldine Elschner, Florence Koenig. A story inspired by two of the Dutch artist Vermeer’s paintings – The Milkmaid and The Lacemaker. Two girls, born on the same day, exchange birthday presents they’ve made for each other – chocolate and lace. And they discover a secret. 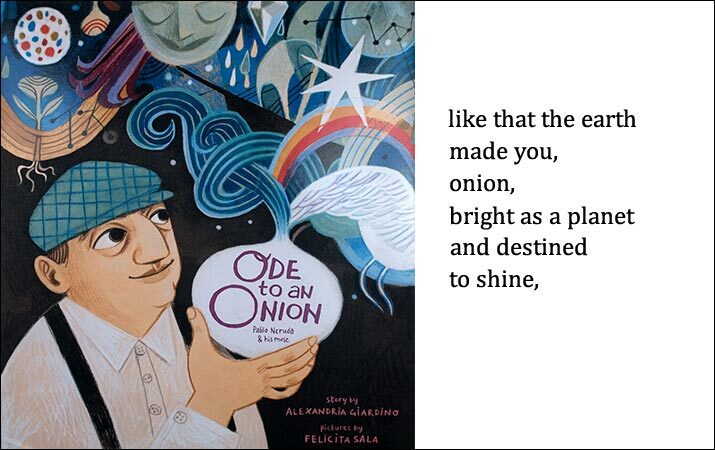 Ode to an Onion: Pablo Neruda and His Muse by Alexandria Giardino, Felicita Sala. The Chilean poet Pablo Neruda is hard at work writing a sad poem, but it’s time for lunch with his friend Matilde. Matilde, with her smile wide as a guitar, leads Pablo into her garden to pick onions for the salad. Cutting up the onion Pablo thinks it will only make him cry, but then he looks at the luminous onion, bright as a planet. And he writes a poem, an ode, celebrating the onion and his tears of joy. 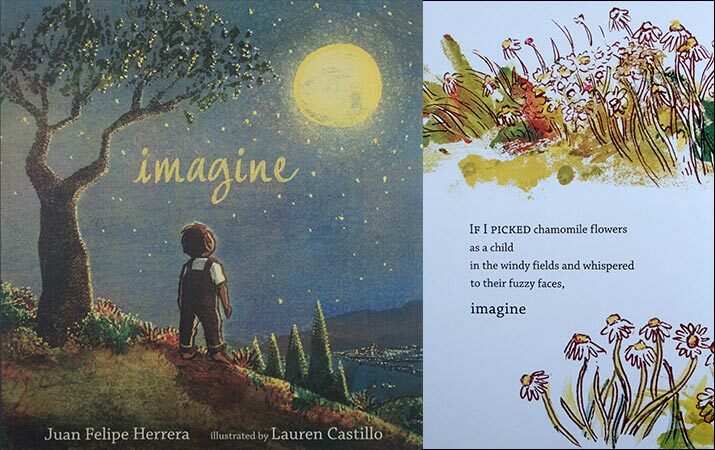 Imagine by Juan Felipe Herrera, Lauren Castillo. The son of migrant farm workers in California, Herrera slept outside, fetched water from the next town, said good bye to his friends when his family moved on, started school knowing no English. And he gathered words, then let them fly. When he grew up, Juan Felipe Herrera became a poet and writer. He was Poet Laureate of the United States from 2015- 2017.